Product Details -Size - 236 ML, Brand -Bio - groom, Suitable - White All breeds of cat from 2 months onwards. Product Information-Special whiteners and pearlescent brighteners add brilliance and sparkle to the coat. Unconditionally guaranteed to leave the coat clean, smooth and easy to manage. The protein in this mild coconut oil base formula gives life and body to the coat and helps prevent dryness. 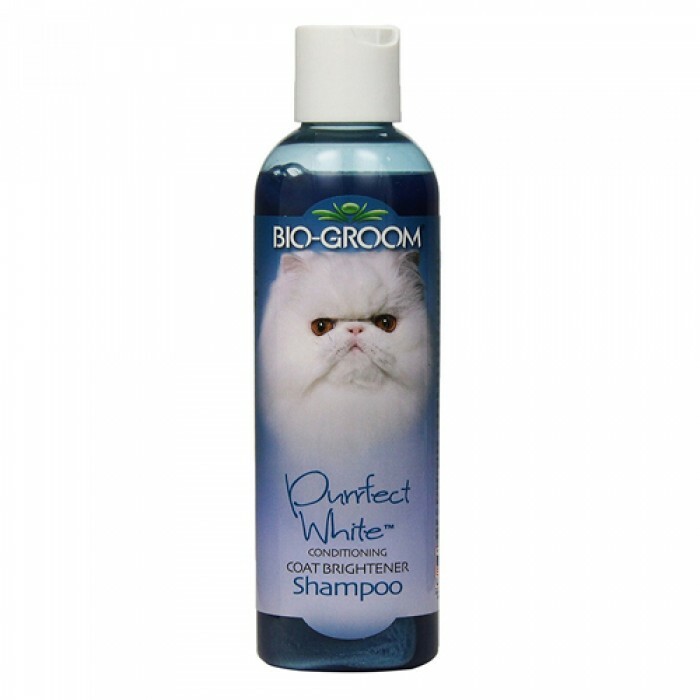 Rich and foamy, it has a neutral pH, is non-bleaching and controls matting, tangling and fly-away hair. Rinses out quickly, leaving the coat with a fresh, clean smell.